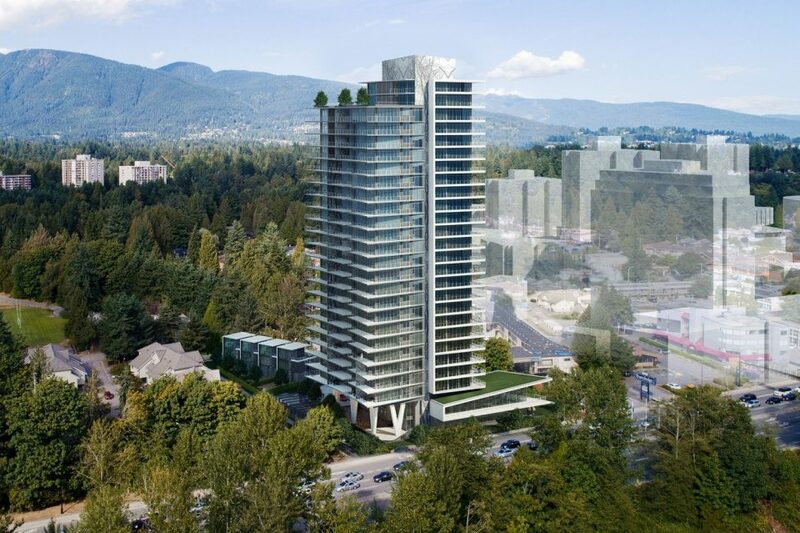 New renderings of a 26-storey tower slated for the site of the Earls restaurant on Marine Drive in West Vancouver have been released. 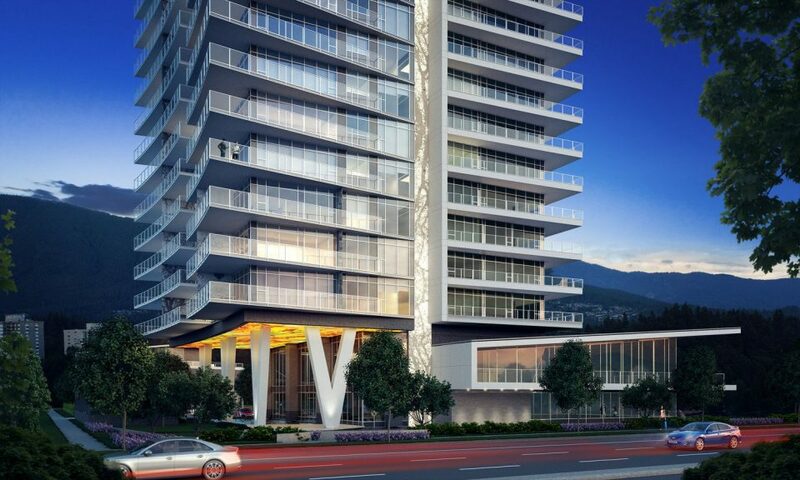 The tower, called The Sentinel, will include 121 units, consisting of 93 condominiums, 24 rental apartments and four townhouses, over 198 underground parking stalls. The existing Earls restaurant on the site is moving to the new Grosvenor Ambleside development, where it’s scheduled to open this March. 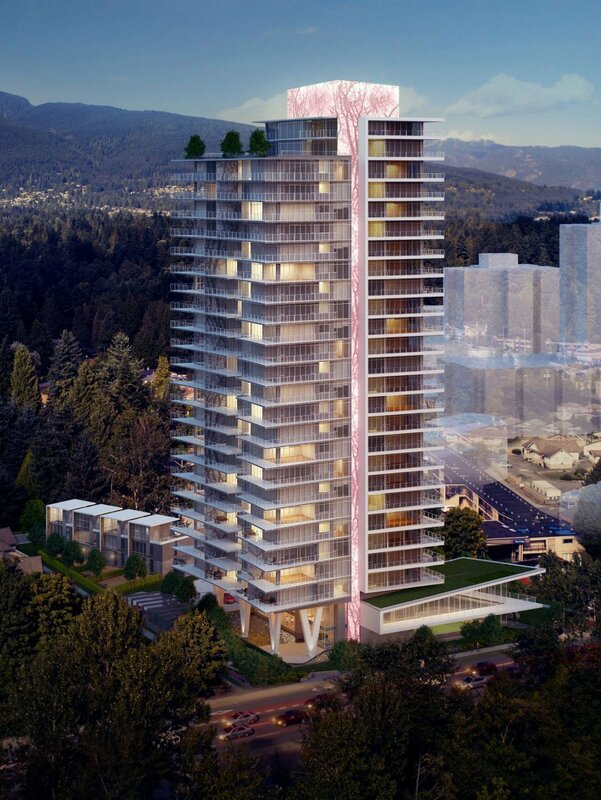 The tower’s design features perforated metal panels backlit with LED lighting along the side and top of the tower, representing the image of a tree in the forest. The public art piece will change colours with the seasons and for special events. 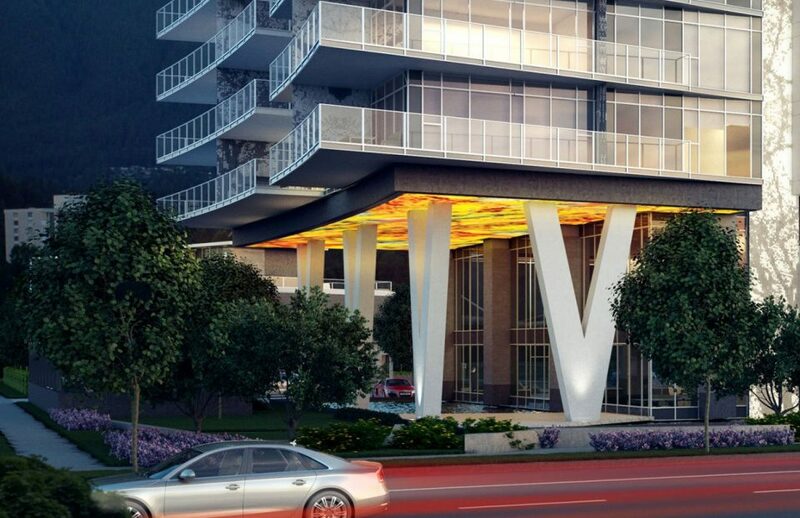 There will also be a large pane of LED soffit lighting on the ceiling above the indoor and outdoor amenity areas, which will display artistic imagery. 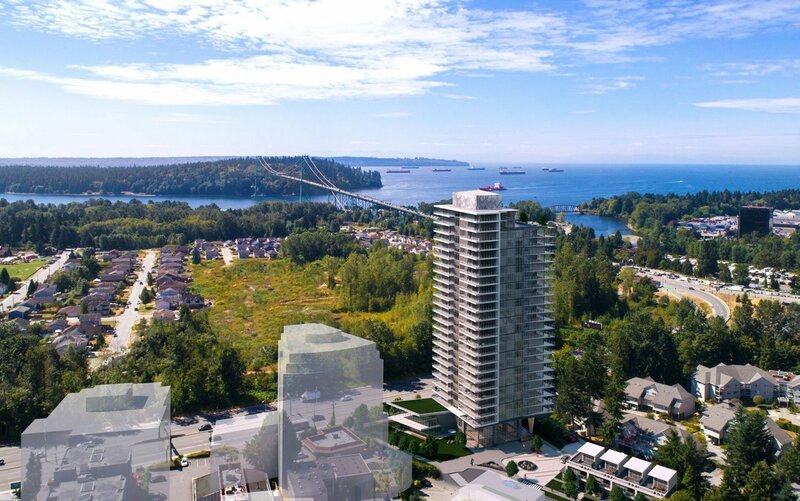 Adjacent to the site on the North Vancouver side, several more high-density residential towers are proposed at Capilano Road and Marine Drive. 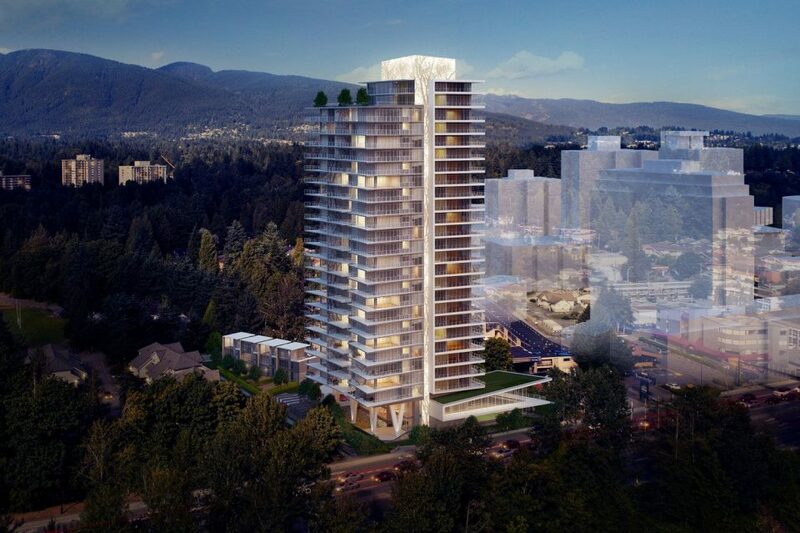 Park West at Lions Gate is a two-tower development on the site of the former Grouse Inn, and there are proposals to redevelop the former Travelodge site, and Best Western hotels as well. 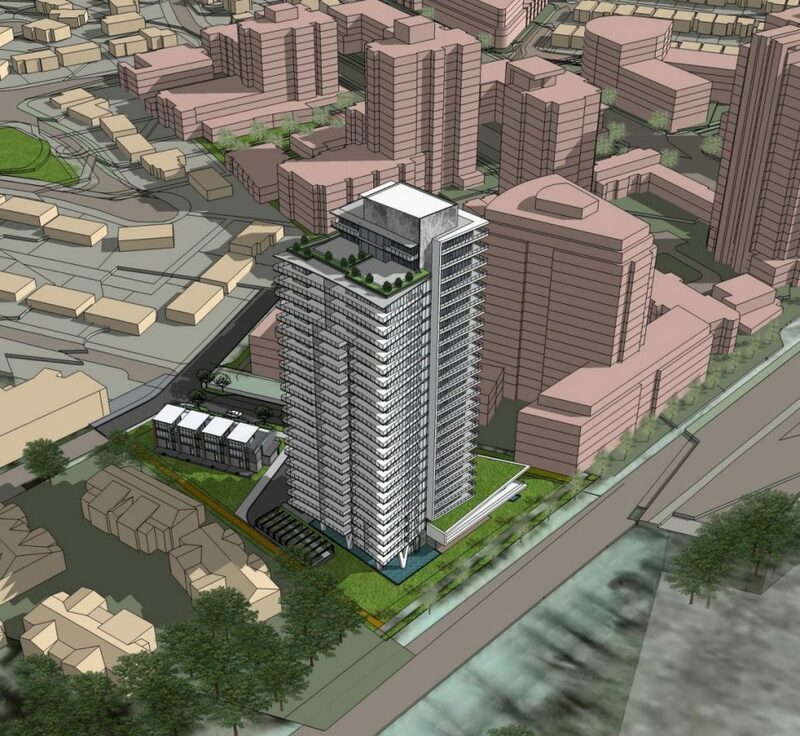 The Sentinel was designed by Chris Dikeakos Architects Inc. for Darwin Properties.